The Environment & Sustainability Committee is a local community organisation that promotes sustainable communities through beautification projects, environmental conservation activities and town pride awareness programs. 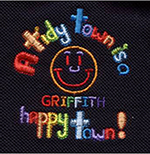 Each year the committee organises 2 awards that recognises locals who promote the Tidy Town image within Griffith. In 2016 the Griffith Tidy Town & Sustainable Community Awards will recognise local primary schools, preschools and daycare centers that implement environmental sustainable practices, maintain their buildings and/or gardens. Griffith Pre-School Kindergarten – At Griffith Pre-School Kindergarten the importance of sustainable environments is being taught to students and also practices have been implemented throughout the school environment. A rainwater tank, waste sorting area, vegetable garden & chickens are at the school and help re-enforce sustainable practices to the children. Within the curriculum topics such as water conservation, recycling, composting, healthy lifestyles & cooking with home grown produce is taught. Community members are also supportive by providing materials that are used within different programs. Yenda Pre-School Kindergarten – At Yenda Pre-School Kindergarten sustainable practices have been implemented throughout the school and also incorporated into curriculum topics. Topics such as saving water, separating rubbish (recycling, compost & rubbish), saving power & benefits of a worm farm are all regularly taught to the children. The school also has rainwater tanks, tap timers, sensor lights, vegetable garden & a worm farm. Every year there are many community members and organistations who are involved in activities that enhance and conserve Griffith’s environment. Ron Inglis was a long serving member of the Tidy Town Group in Griffith and worked tirelessly to promote the Tidy Town image within the community. The Ron Inglis Memorial Tidy Town Award was developed to acknowledge and celebrate the efforts of individuals and groups who have made a positive contribution to the local environment. 2nd Griffith Scout Group – For the past 3 years the 2nd Griffith Scout Group has been participating in Clean Up Australia Day, cleaning up Ted Scobie Oval area and IOOF Park. IOOF Park was seen as an important area to the Scouts as it leads up to City Park, which is regularly enjoyed by members. The 2nd Griffith Scout Group has been operating for 80 years and currently has 4 active sections – Joeys (6-8 years), Cub Scouts (8-11years), Scouts (11-15 years) and Venturers (15-18 years). The group is also keen to pursue other opportunities to participate in future events. Griffith Shed for Men – Each year the Griffith Shed for Men participates in the Clean Up Australia Day & Annual Griffith Clean Up campaign by collecting rubbish on the roadway of Scott Road. They also periodically remove any illegal dumped rubbish in that area. Wade High School – Year 12 students completed a clean-up of Scenic Hill Lookout as part of a joint event with GCC/MI/DPI Lands. They filled 20 bags of rubbish along a popular parking area and tourist route. They also learnt about the Illegal Dumping app RIDOnline.